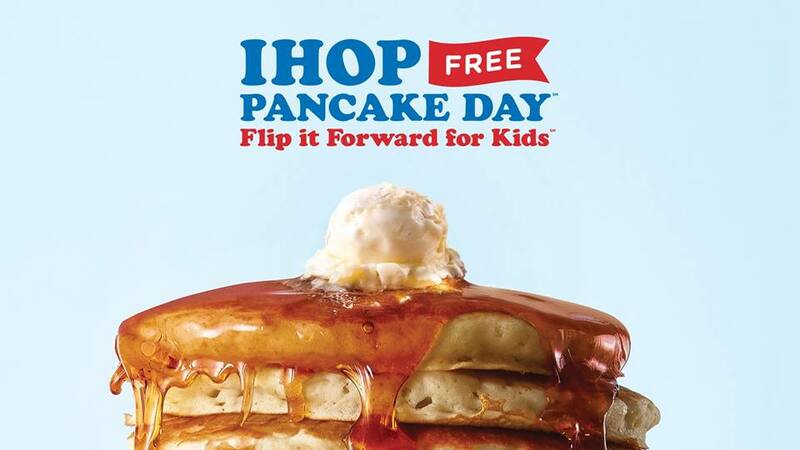 IHOP is back with their FREE Pancakes for Pancake Day today, March 12th, 2019! This means that you can get one FREE short stack of pancakes per guest from 7am to 7pm. You will then have an opportunity to donate to the Children’s Miracle Network, Shriners Hospital or The Leukemia & Lymphoma Society. We went to this event for a few years and even though it was very busy, it always seemed to run very smoothly & we didn’t have to wait too long for a seat or for our pancakes, so it was fun to head out to friends for this event.